“I need to go to the gym. The freshman 15 is hitting me hard.” Hearing a similar phrase is not an uncommon occurrence on the BYU campus. In fact, many students experience dissatisfaction with eating habits and body image. I have encountered similar feelings, and if you have too, know that you are not alone. The good news is that it doesn’t have to be this way. You can find comfort through intuitive eating, a method that optimizes freedom while honoring the body’s needs. Intuitive eating refers to a way of eating that promotes flexibility and freedom by relying on the body’s physical sensations of hunger and fullness. This approach encourages people to simply eat when they are hungry and stop when they are full. To further explain, imagine a rushed morning where you grab an apple on the way out for class. Your stomach growls as the day progresses. By the time you reach the Cannon Center, you feel ravenous and out of touch with feelings in your body. As a result, you eat past fullness and end up stuffed. Can you relate? 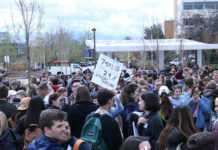 This situation demonstrates concerns of being disconnected from the sensations of hunger and fullness. These internal signals are wiser than external diet culture, and when honored, your body receives steady fuel throughout the day. This is vital for maintaining proper energy levels and optimal brain function. Attention level will increase during classes, and it may even make the testing center a less dreadful experience. This being said, it is normal to be hesitant about trying an unfamiliar approach to eating. With the prevalent diet culture that surrounds us, make the courageous decision to do what is unpopular. Tune out the thoughts of diets and find joy in listening to your body. I promise you won’t regret it. As a student athlete here at BYU, I am extremely thankful for the athletic scholarship I have received. However, some individuals believe that student athletes do not deserve to have scholarships. Some say those with higher GPAs and more academic accolades in high school deserve these scholarships instead. It may be true that these individuals deserve scholarships, but it does not mean student athletes do not deserve the same privilege. In addition, student athletes and college sports are another source of revenue for universities. According to ESPN 960, “BYU (athletics) generates around $67 million a year in revenue.” Being a student athlete could be comparable to having a job. Student athletes do not get their scholarships for free. 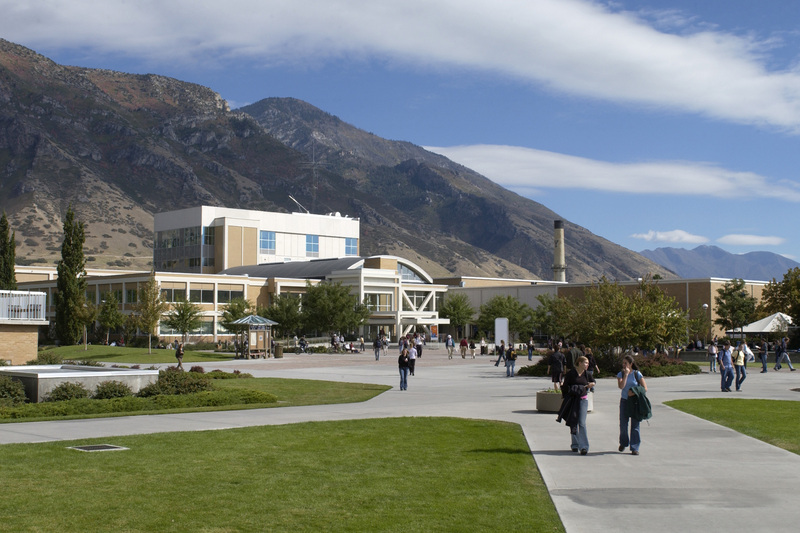 They go to all of their classes, keep good grades and adhere to the Honor Code, just like all other students at BYU. 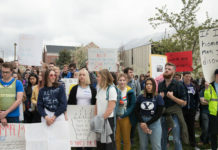 However, student athletes are also required to go to workouts, practices and to “win at the conference and national level, while displaying world-class sportsmanship,” which is verbatim from the BYU Athletics mission statement. It is an honor for us to attend this wonderful university and have these opportunities at BYU, and we are all striving for success in and out of the classroom. So, before judgements are made on a student athlete’s right to a scholarship, please attempt to see it from their perspective first. 2018 was one of Utah’s driest years to date, according to the National Centers for Environmental Information (NCEI), yet there were still few measures taken to conserve water. When other states go into a drought they take state-wide measures to conserve as much water as they can. California is a prime example. In the summer of 2015 I attended a wedding in Los Angeles. The entire wedding party stayed with members of the bride’s family on the outskirts of L.A. We were all told that California was experiencing a drought and that we needed to “shower like we were in the Navy” — rinse, turn off the water, put on soap and shampoo, rinse and then be done. No more than five minutes. Other countries also strive to conserve water, not only because they are in a drought, but also because they know there isn’t enough clean water on the earth to waste on taking long showers. Germany conserves water, not only in times of drought, by controlling water heating systems. These regulated controls on the private heating systems permit users to only have heated water between the hours of 5 a.m. and 10 p.m.
With only 1.2 percent of the earth’s water being potable and accessible, we need to take measures to conserve as much as we can, especially since Utah is such a dry state. That’s not to say everyone should start bucket showering, but we should be more aware of the amount of water being used in our homes on a daily basis. The first step we can make is to take shorter showers — and maybe make sure the sprinklers are watering the grass and not the sidewalks.